MARKUS MÄNTYKANNAS, a meteorologist at Foreca, says Finns should expect a noticeable change in the weather type in the coming weeks. “You can say goodbye to the low-pressure weather systems and long-lasting rains; they will be replaced with fairer and sunnier days,” he wrote in a blog for the private weather forecasting company on Saturday. “By Tuesday and the midway point of the week, many may notice how much power the sun has gotten since January: snow will start melting even in high sub-zero temperatures and the meltwater will drip from the eaves. The taste of an early spring is in the air next week,” phrased Mäntykannas. The change in weather is caused by a high-pressure system that is developing over Europe. Mäntykannas explained that the high-pressure system could create so-called foehn winds in western parts of the continent between Thursday and Saturday, which in turn could could raise temperatures to around 5ºC in western and northern parts of Finland. “The possible foehn phenomenon can give an early taste of spring for a day or two,” he said. 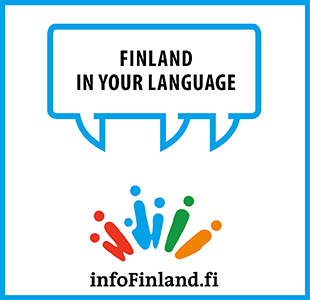 The Finnish Meteorological Institute (FMI) has reported that the mean temperatures were 1–3ºC lower in most parts of Finland in January. Such a cold start to the year, it added, is experienced once every three or four years – the most recent colder January having been in 2016.